I’m sure you asked yourself how do I use text to speech on Android or how do you get text messages read by your Android smartphone. 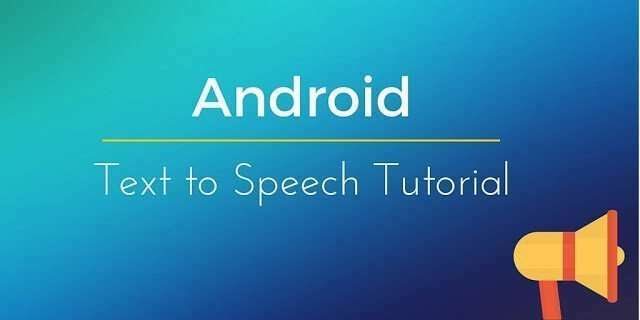 This tutorial will respond to these question showing how to use text to speech on Android step by step. Android text to speech is very interesting because it can add some nice features to an android app. There are several scenarios where the text to speech Android feature is useful. What is text to speech? Text to Speech is a feature of Android platform that can be used to “read” the words and make the app talking, or more in detail to synthesize text. This post covers how to implement TTS in Android and how to control some interesting properties of the speech engine. This Text to Speach Android example will be very easy to focus our attention on how to use text to speech in Android. Let us a built the Android App. The final result of the Android app is shown here. The callback method named onInit is invoked when the initialization process completes. In this method, we set the default language that the engine uses to read the sentence. we simply have to call the speak method to make our app reading the text! We can have more control over how the engine read the sentence. We can modify for example the pitch and the speech rate. In the app, for example, we used two seek bars to control the pitch and rate. If we want to set the voice pitch we can use setPitch passing a float value. On the other hand, if we want to change the speech rate we can use setSpeechRate. At the end of this article, you learned how to develop an Android app that uses Text to Speech in Android. 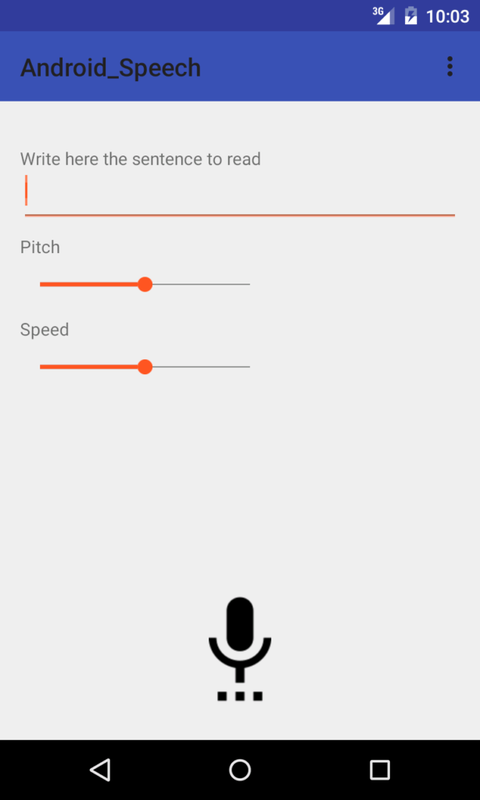 We have developed a Text to Speech Android example app that we can use to read sentences. Your site is a great source of Android information. sir the code is not working for me what you think the problem is.